Specific, what-to-buy recommendations to help you aim for the highest yields on your money… in virtually any type of market. On your behalf, John Mauldin's personal research team tirelessly searches for investments offering the best combination of yield and potential capital appreciation to help you dramatically boost your investment income. If there is another service like Over My Shoulder out there, we are unaware of it. As the name of the service indicates, as John Mauldin reads through literally reams of top-level investment and economic research as part of his regular work each week, he keeps a close watch for those special gems that deserve your immediate attention. When he finds one, he forwards them to you, along with a quick pointer or two as to the importance and personal relevance of the research. It's like having your own highly tuned radar constantly scanning the landscape for what's important, saving you time while ensuring you are exceedingly well informed on today's most pressing economic and investment topics. Learn more today about becoming a member of John Mauldin's private Over My Shoulder network. Jared Dillian, former head of ETF Trading at one of the biggest Wall Street firms and author of the highly acclaimed book, Street Freak: Money and Madness at Lehman Brothers, shows you how to pick and trade trends, and master your inner instincts. Learn how to use “Angry Analytics” as a leading indicator of budding trends you can profit from… and how to view any market situation through the lens of a trader. Jared’s keen insight into market psychology combined with an edgy, provocative voice make Street Freak an investment advisory like no other. The Daily Dirtnap is tailor-made for financial pros and sophisticated investors with a desire to add a unique slice of contrarian thinking, macro perspective, and investor sentiment analysis to their daily arsenal. From his inbox to yours around 225 days a year, Jared Dillian shares his thoughts on ETFs, liquidity, currencies, rates, macro, market psychology, and more. If you’re looking for big-picture trade ideas and incisive take-downs of the consensus, then this thought-provoking, addictive letter is for you. It’s finally here: For years, Thoughts from the Frontline fans have asked for a newsletter combining John Mauldin-style macro insight with practical investment advice. Enter editor Robert Ross. Robert, Mauldin’s senior equity analyst, has spent the best part of one year to devise his Equity Evaluation System (EES) that puts each to-be-vetted stock through a test of over 75 components and he is on a mission to deliver market-beating returns for his subscribers. Who better to help you become a successful long-term ETF investor than the former head of ETF trading at a Wall Street giant? In ETF 20/20, Jared Dillian manages a diversified ETF portfolio and advises readers on how to invest in ETFs in a smart, highly targeted way. If you’re concerned about hidden “gotchas” in ETFs, curious about how ETFs can help you fulfil your investing goals, and want to build a profitable, sustainable, long-term portfolio… then ETF 20/20 is exactly what you’ve been looking for. Jared Dillian—author of the critically acclaimed book Street Freak: A Memoir of Money and Madness and former head of ETF trading at Lehman Brothers—hosts a special ETF Master Class. In this private training, you will gain a much better understanding of how ETFs work as a product as well as how investment products work in general and what the implications of the “fine print” mean for you as an investor. Mauldin Economics VIP is a special annual membership program offering our premium investing research newsletters for one low price. Seeking to benefit both the individual investor as well as RIAs, brokers, and market professionals. 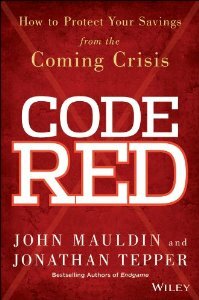 Follow Mauldin as he uncovers the truth behind, and beyond, the financial headlines. Thoughts from the Frontline explores developments overlooked by mainstream news and analyzes challenges and opportunities on the horizon. This in-depth weekly dispatch helps you understand what's happening in the economy and navigate the markets with confidence. Every Friday, Patrick Cox and his research team send you an original article on one tech or biotech story which could affect the markets and your understanding of the future. Patrick Cox’s Tech Digest is 100% free. You can sign up and start receiving Patrick’s weekly articles with NO future obligation. If you watched the movie World War Z, you’ve heard of “the 10th man.” He’s the odd one out, the devil’s advocate, the one who—for the greater good—is obliged to disagree when everyone else agrees. Jared Dillian is that 10th man. 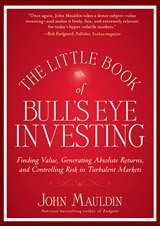 He’s “the ultimate contrarian,” and following his intellectual adventures is a true thrill ride for every investor. A master in behavioral economics, Jared probes the mind of today’s market to gauge the trends of tomorrow. Sign up for his weekly missive and don’t miss another one of his captivating conclusions. Living A Rich Life is not just about feeling vibrant and vital longer... it’s about being financially comfortable too. Every Monday, Chris Wood, along with his colleagues Dr. Mike Roizen and Patrick Cox, will show you how to boost the wellness of your body and your portfolio in his free newsletter, A Rich Life.